Home » Community » Health Ministry: Living the connection between faith and wellness, mind, body and spirit in ministry to oneself and others. Health Ministry: Living the connection between faith and wellness, mind, body and spirit in ministry to oneself and others. 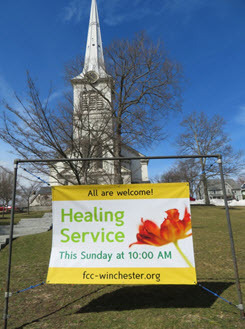 Comments Off on Health Ministry: Living the connection between faith and wellness, mind, body and spirit in ministry to oneself and others. The church’s Health and Wellness Ministry was formed to encourage all to deepen faith practices through mindfulness, healthy life style choices, and balance in work and personal life; to seek healing, comfort and guidance offered by faith at times of crisis, grief and stress; and to build a healthy community through fellowship, service and visitation. The Healing Ministry holds a service of light during Advent, which is aimed at helping those who experience a loss of joy during the holiday season, and helping to move them from darkness to hope by opening them to God’s quiet presence. Each program year, the Health Ministry Committee selects one healing scripture for its monthly Bible Study, which becomes the foundation for the Lenten Health Ministry Healing Service, at which congregants are invited to a healing station for individual prayer and laying on of hands. Individual consults with the church’s Health Minister Kathleen Zagata are available, regarding community resources, support with illness, mental health or addiction issues, and faith-based healing arts such as guided meditation prior to surgery or medical treatment. As a faith community nurse, she has witnessed how faith is essential to well being, and mastery of life’s milestones as well as how it makes a difference in times of crisis, illness, and addiction. “Our Christian tradition makes clear that Jesus was not just about fixing a diseased person, his intent was to heal in God’s name and to restore each person to fullness and community. Thus health ministry is based on a whole person model — mind, body, emotion and spirit — encouraging us to become the person God is calling us to be at each developmental stage,” she explained. For this season’s Lenten program, the church invited the members to adopt a health-promoting habit for forty days. Members could choose their own personal lifestyle practice — mind, body or spirit — which fosters greater wellness. Some suggestions were fasting 3-4 hours before bedtime until breakfast to allow the body to detox; centering through prayer, meditation or movement such as yoga to reduce cortisol and insulin spikes; and creating a gratitude journal to cultivate an attitude of gratefulness. 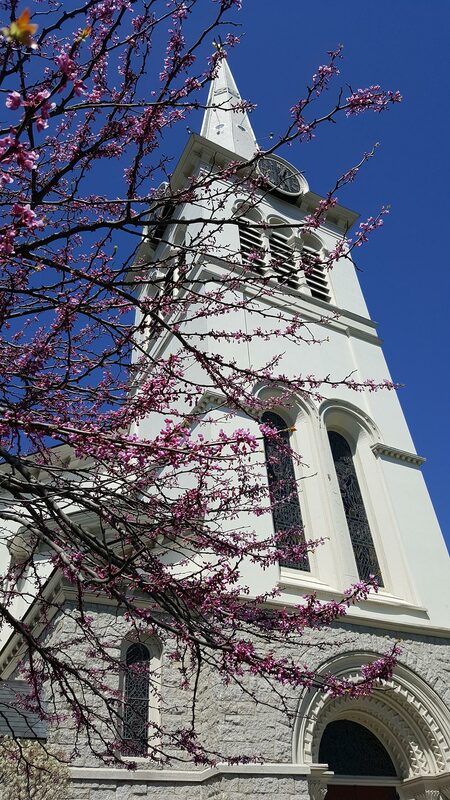 Zagata encourages all to enhance their faith by living the connection between wellness and spirituality, both personally and in ministry to others. She is open to providing a graduate internship in Faith Community Nursing. Kathleen can be reached at extension 106 at the church office at (781) 729-9180 , or visit their Facebook page.